Every company is on a “SAFETY JOURNEY”. Some companies are just beginning their journey and do not have a safety program in place, and some companies are considered world-class safety leaders and have exceptional safety programs. 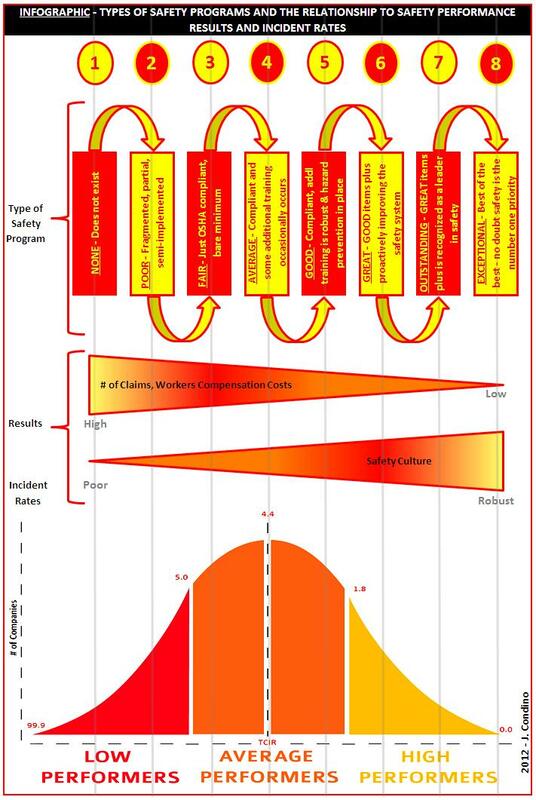 I created the following INFOGRAPHIC to show the types of safety programs and relationship to safety performance results, safety culture and incident rates. I am going to strive to have an exceptional safety program – what about you?